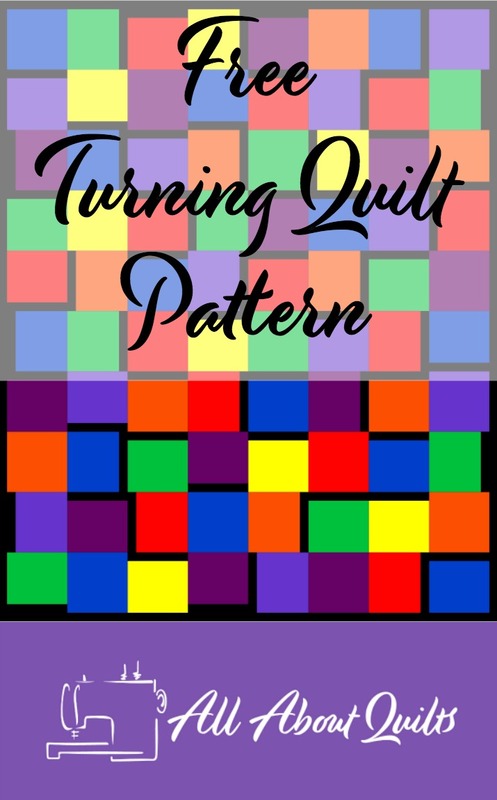 Turning Quilt 58" x 72"
Joannes Designs Week11 'Turning' quilt was a design I created to showcase the fabulous Kona solid fabric range. 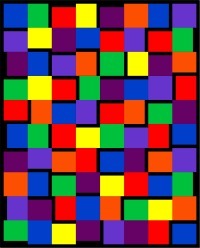 I have chosen bright colours but this quilt would look great in any number of colour combinations. You will notice that there are only two blocks used to make this quilt. These blocks are very simple. Both are 7" x 7" finished. The first uses a single fabric and the second has a 1" black strip incorporated on one edge. This block is then rotated at random throughout the quilt. The rotation of this block is what gives this quilt its 3D effect! If you are unsure what colour combinations to use then view my Pinterest board labeled Palette Search. Here I have posted several different websites that offer (usually free) a service of extracting the colours from a photo eg flower garden, or bowl of fruit etc. Others offer colour search results that they have already created. These colour swatches that you end up with can then be used as a base for your quilts colour choice. Below are the two blocks that are used to make this quilt. Both are 7" x 7". The block at the right is positioned randomly within the quilt so that the black stripe faces either at the top, bottom, on the right side or on the left side. 1. Cut out all the required fabric pieces first. 2. 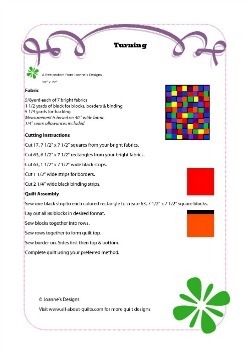 Sew together the black and coloured rectangle pieces to form 7 1/2" x 7 1/2" squares. All seams use a 1/4" seam allowance. 3. Lay these blocks out on a flat surface or design wall. It is best to stand back see if the 3D effect is pleasing. rearrange where necessary. 4. Sew blocks together into rows. Press alternate rows seams all in the same direction. Half the rows to the left and half the rows to the right. 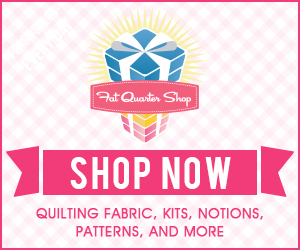 This will help the quilt top to sit flat once finished. 5. Measure your quilt top in 3 places vertically to get the average length to cut your first two side borders. Cut two borders this length. Sew in place. 6. Remeasure your quilt top in 3 places horizontally to get the average width to cut your next two borders. Cut two borders this length. Sew in place. I hope you enjoyed Joannes Designs Week11. 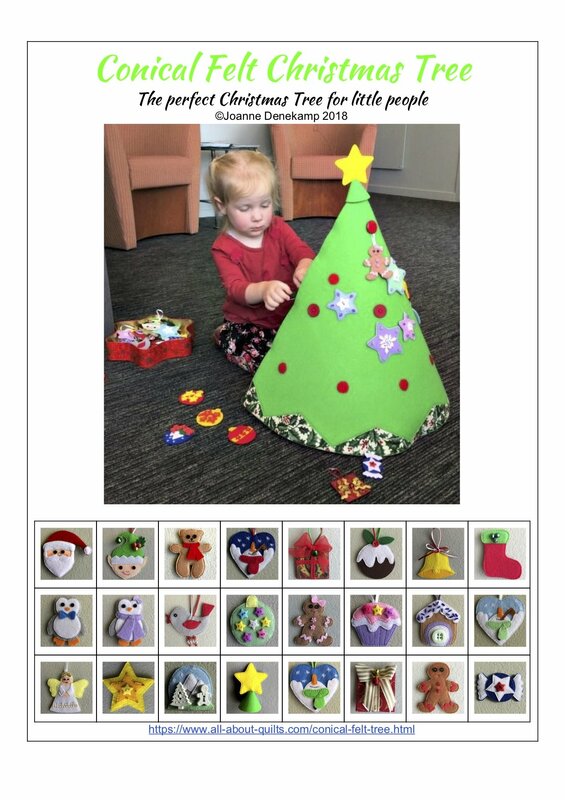 Just 41 patterns to go!